OLYMPIC NATIONAL PARK — Olympic National Park will begin capturing mountain goats late this summer now that the Park Service has released its record of decision for the Mountain Goat Management Plan, officials said Tuesday. Olympic National Park plans to relocate the majority of mountain goats to U.S. Forest Service land in the North Cascades national forests and to kill the remaining mountain goats that evade capture in Olympic National Park. The park will begin capturing goats during a two-week period this summer at Hurricane Hill, said Louise Johnson, chief of resources management for the park. “The timeline for implementation has always been a three- to five-year period, but we’re really honing in on the first three years being the heavy implementation of goat capture and translocation, then transition to lethal removal,” she said. Johnson said the execution of the plan largely depends on funding and that she anticipates at least three years of funding. During 2019 and 2020, a pair of two-week operational periods are expected, in which crews at two locations in the park work to capture goats. The first would be in July and the second would be in late August or early September, she said. Johnson said the hope is to capture about half of the mountain goats. The ones that are unable to be captured will be shot. A 2016 population survey of mountain goats in the Olympic Mountains showed that the population increased an average of eight percent annually from 2004 to 2016. It has more than doubled since 2004 to about 625. She said the park plans to use trained volunteers on the ground to shoot goats from afar. Because of the difficult terrain, the park will also use helicopters. “We’ll be doing more lethal removal from the ground and try to reduce the amount of helicopter flights,” she said. “We are very pleased to collaborate with the Washington Department of Fish and Wildlife and U.S. Forest Service to relocate mountain goats from the Olympic Peninsula,” said Superintendent Sarah Creachbaum. 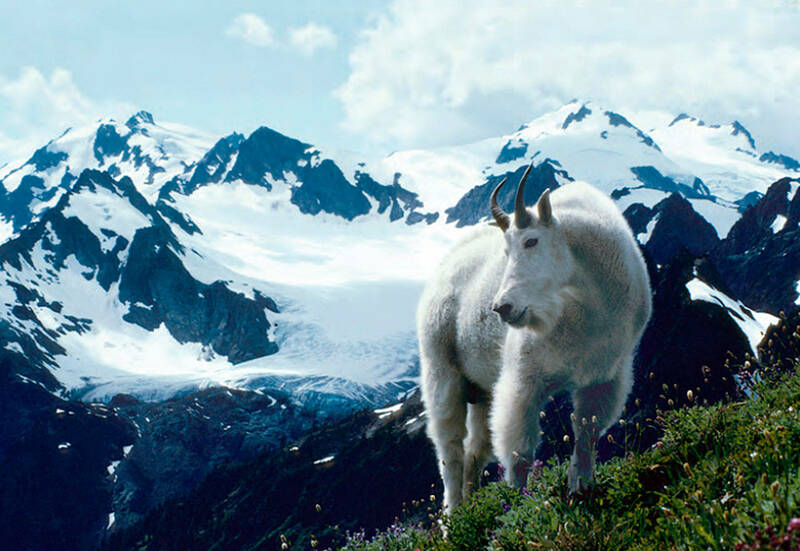 The plan’s purpose is to allow Olympic National Park “to reduce or eliminate the environmental damage created by non-native mountain goats and the public safety risks associated with their presence in the park,” the park service said. In 2010, Bob Boardman of Port Angeles was fatally gored by a mountain goat on Klahhane Ridge in Olympic National Park. About 2,300 comments were received on the draft EIS, the park service said. The final EIS is available for public viewing at https://parkplanning.nps.gov/OLYMgoat. The comments were used to develop the final version of the document, which includes modified versions of alternatives C and D (the preferred alternative), other minor revisions, and the agencies’ responses to public comments. The population is expected to grow by another 100 this year. By 2023, the population could be nearly 1,000 goats. Mountain goats are native to the North Cascades Mountains but exist in low numbers in many areas. Both the USFS and the WDFW have long been interested in restoring mountain goats to these depleted areas. Reporter Jesse Major can be reached at 360-452-2345, ext. 56250, or at [email protected].